This September the world’s leading car care experts, Autoglym, will partner with the Concours of Elegance for the fourth successive year, ensuring the unique gathering of rare and exotic cars is presented to the absolute highest standard on the lawns of the Palace of Holyroodhouse, Edinburgh. Only 60 cars of the highest calibre are invited to take part in the Concours (60 being a reference to Her Majesty The Queen’s Diamond Jubilee which saw the event established at Windsor Castle in 2012), with the rarest cars from all over the world painstakingly selected by the Concours Steering Committee – among the most highly regarded and authoritative car experts. Supporting the 60 Concours cars will be many more from the show’s partner manufacturers Bentley, Jaguar Land Rover, McLaren; and collectors and clubs from across Europe. With two Royal Warrants, Autoglym will be in familiar regal surroundings in Edinburgh, with 20 highly qualified technicians on hand throughout the event to prepare and care for the vehicles during the all important Concours of Elegance judging. The team will also be on hand to give technical know-how and practical car care advice to the thousands of visitors expected at the Palace of Holyroodhouse. 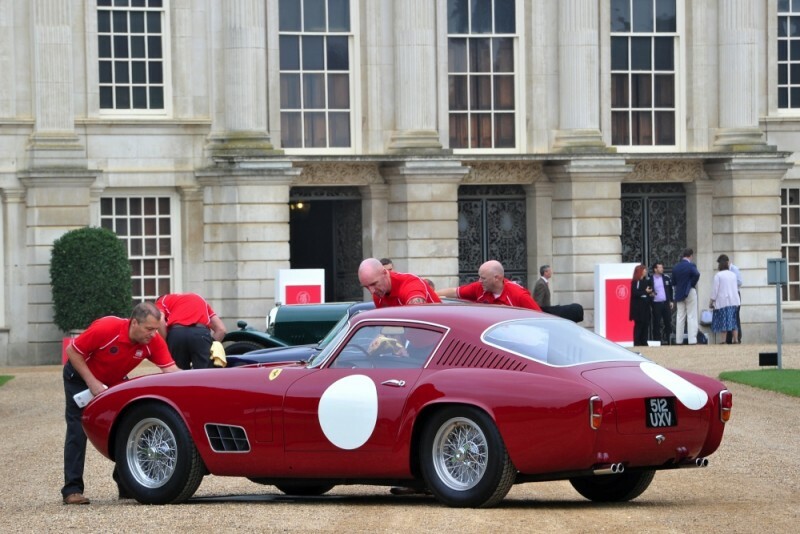 Paul Caller, chief executive of Autoglym, said: “The Concours of Elegance is one of the most prestigious classic car events in the UK and is now a fixture in the motoring world calendar, unique in that it is held in a sublime Royal Palace each year, and we are delighted to work with the organisers once more after the success of the previous three at Windsor, St. James and Hampton Court. “Many of our products were formulated years after these cars were even built, so ensuring they suit the needs of an older vehicle is essential. The three day spectacular motoring festival runs from the 4th to 6th September 2015.